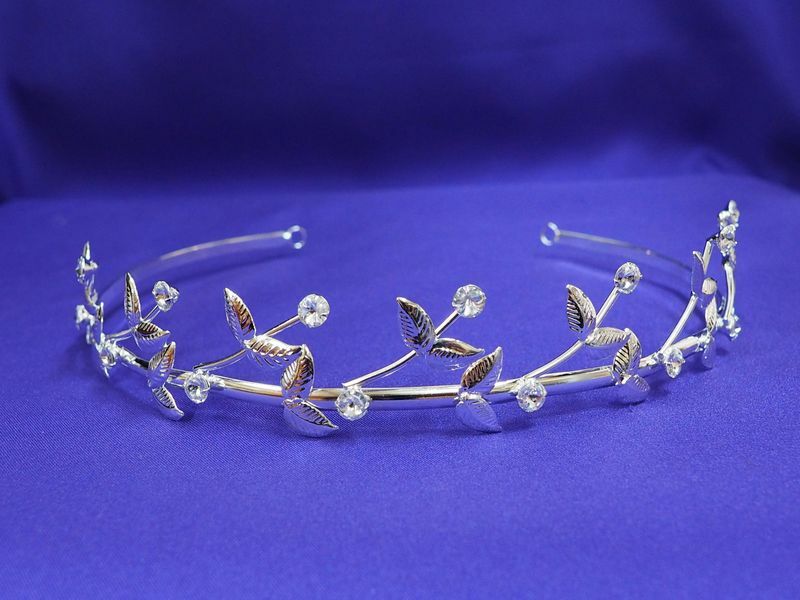 The use of bare metal in this design creates a simple yet elegant tiara. The highly detailed leaves mimic wings in flight, creating a sense of open space, complementing the clean lines of this tiara. Can be worn as a tiara or headband. .